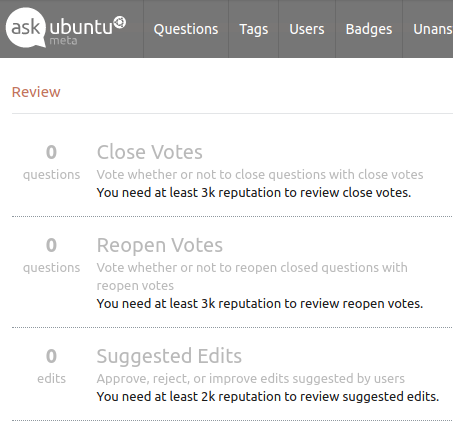 I understand that I have access to review queues, but not on meta, yet I can access it (presumably because SO's making a decision that I have review queue access on AskUbuntu), but I can't do anything here since I need at least 2k rep. This looks like a bug/unexpected policy config to me. 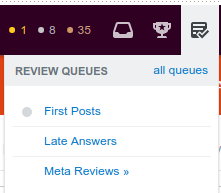 Can we manage the review queue flag for meta separately from the main site? There's no real inconsistency, since "all queues" should show all queues.